You might know it as the Audi Fox or the Audi 4000, the names under which it was first sold in the U.S. in 1972, but it is more widely recognized as the Audi 80, marketed as the perfect family or personal car for the first-time buyer. Just because it was considered the starter car cousin to the more upscale 100, Audi did not skimp on any of its features, believing that owners should feel pampered in their automobiles. 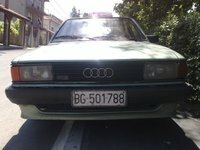 Being an Audi, it offered a combination of affordability, luxury, safety, durability, power, and style. 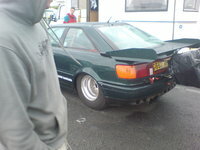 The result was one of the most successful cars in the Audi lineup at that time. 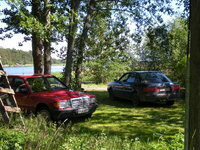 The Audi 80 started its life as both a two-door coupe and four-door sedan, eventually winnowing down to the four-door. 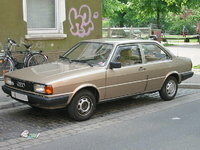 Because Audi had been absorbed into Volkswagen, the 80 shared a platform with the Volkswagen Passat. 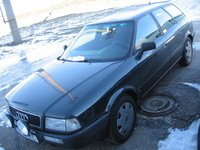 In 1990 models, a quattro version was added to the line, bringing all-wheel drive capability to the popular sedan. 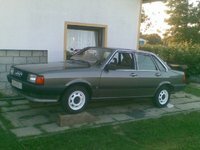 The last generation of the Audi 80, begun in 1988, saw a more aerodynamic design and the introduction of a more durable outer coating, consisting of galvanized zinc. This ensured the Audi would never fade, rust, rot, or need a facelift, and many owners of used Audi 80s comment on how up to date and modern their car looks, with little wear and tear both inside and out. Like many Audis, the 80 was popular for its superb handling and sturdiness on the road. Not only did owners feel safe in their Audi 80, but also comfortable in an interior that was fairly roomy and came equipped standard with a lot of nice extras, such as power mirrors, windows, and locks. 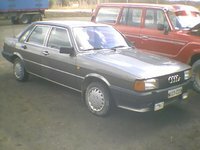 Last manufactured for 1992, the practical, yet fun Audi 80 had a successful life. It never really died, and actually lives on today as the Audi A4.